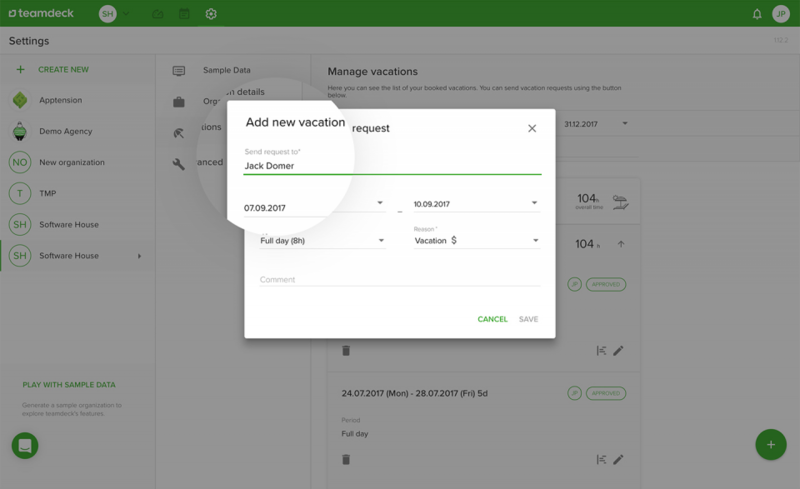 Teamdeck allows you to manage people’s vacations and track their hourly availability. This way you know exactly when to expect them at work. 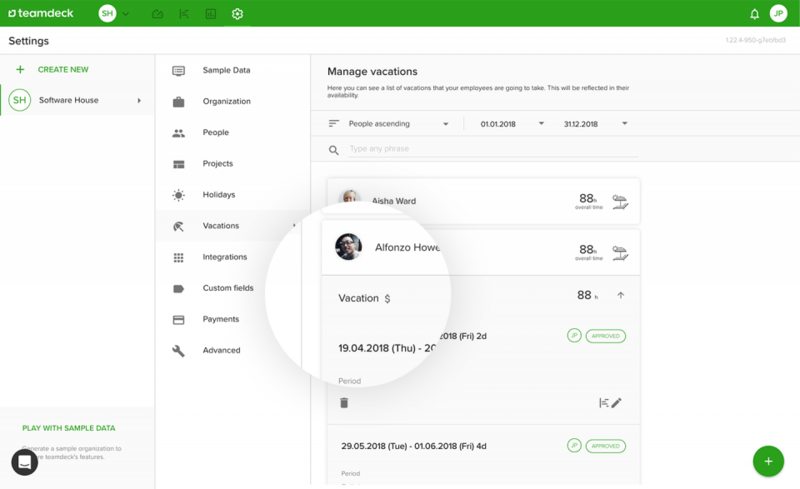 Schedule vacations directly in the app: your team members request time off and the managers approve or dismiss it. 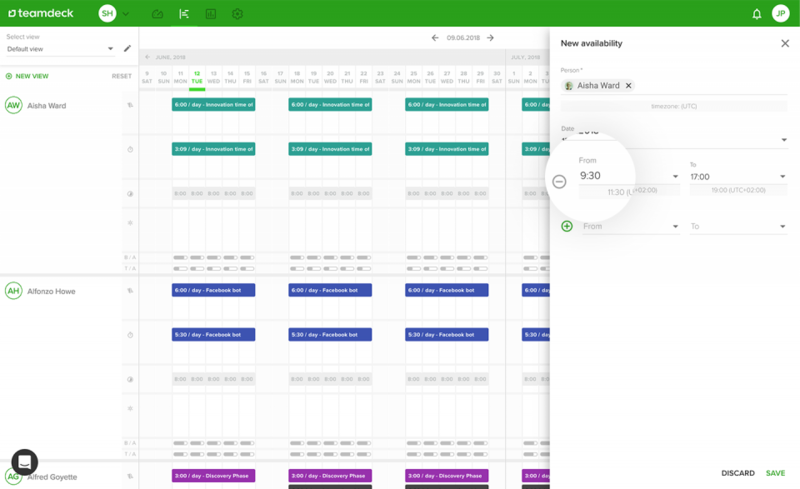 The confirmed days off appear in the schedule right away. Tired of back and forth communication about employee’s vacations? 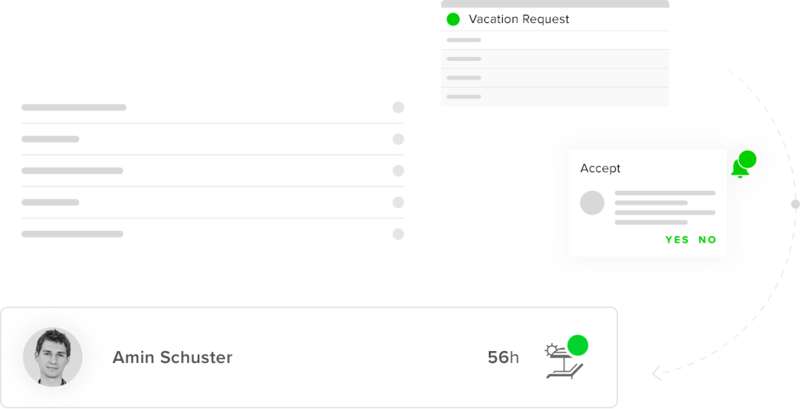 In Teamdeck, you can manage time off requests directly in the app, dismissing or approving requests with just few clicks. 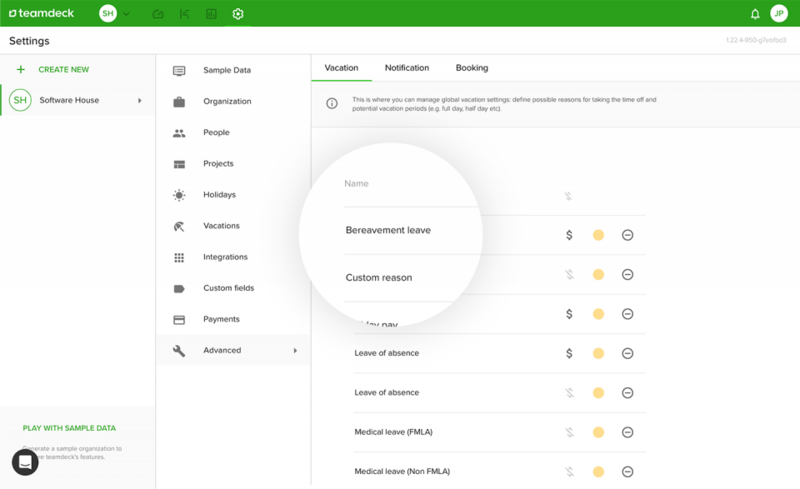 Then, added vacations appear in the calendar view, making it easier to manage employee availability. Employees can pick a particular manager that should receive their time off request, reducing communication clutter. 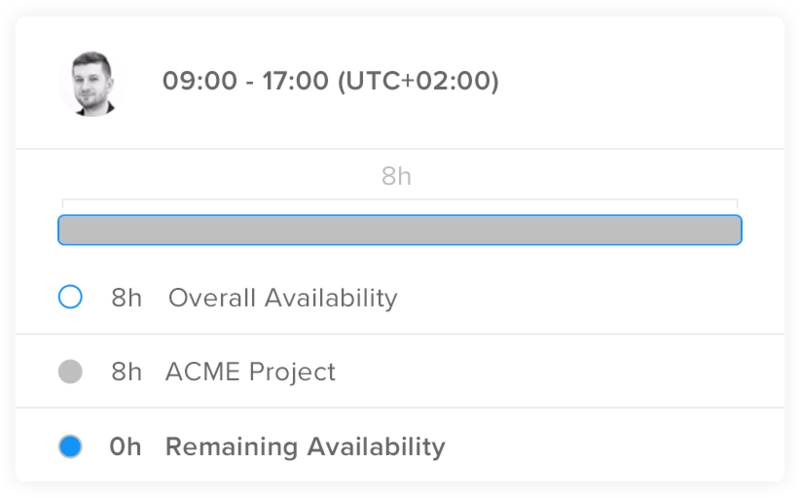 All of your part time employees or freelancers can define their hourly availability and update it when needed. 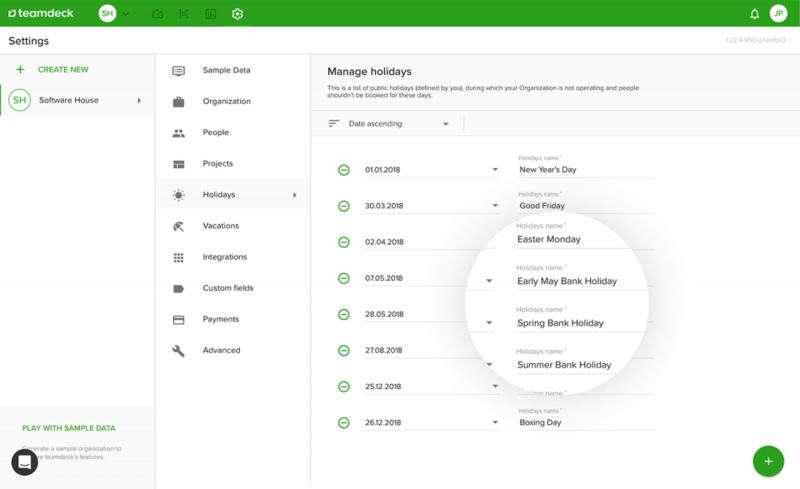 Define your own types of time off or use a default list. Specify which ones are paid and which ones aren’t. Pick a country you operate in to import a list of public holidays to be displayed in your schedule. 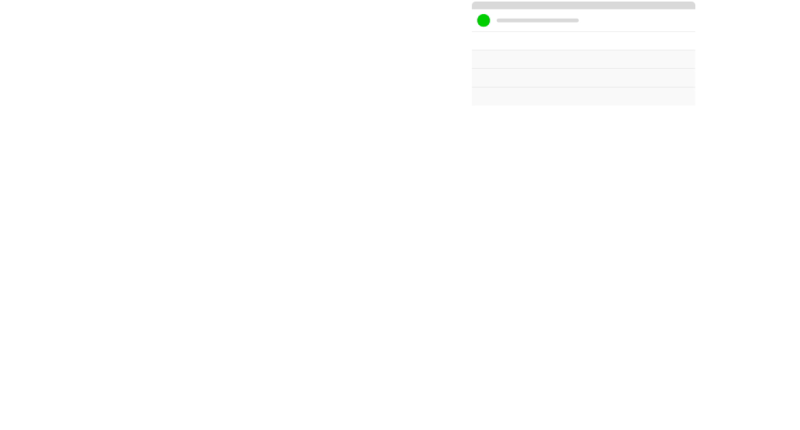 When requesting time off, your employees can add a comment explaining their absence.